Just a walk in the woods or a stroll by the beach on a sunny morning can awaken the innermost feelings of happiness and peace, and Environmental Psychology has gone a long way proving this fact (Bell, Fisher, Baum, Greene, 1996). Our affinity toward nature is genetic and deep-rooted in evolution. For example, have you ever wondered why most people prefer to book accommodations that have a great view from the balcony or the terrace? Why patients who get a natural view from their hospital bed recover sooner than others? Or why does it happen that when stress takes a toll on our mind, we crave for time to figure out things amidst nature? Frank Lloyd Wright had said, “Study Nature, love Nature, stay close to Nature. It will never fail you.” This article investigates the human-nature relationship in detail. Why we feel so empowered when we are close to Nature? What happens to us when the soft breeze or the warm sun touch us? With research-backed evidence and useful environment-support hacks, this piece explores and acknowledges the sheer boon of the ‘Nature Contact’. According to Louv, nature-deficit disorder is not the presence of an anomaly in the brain; it is the loss of connection of humans to their natural environment. Staying close to nature improves physical, mental, and spiritual well-being. It makes us feel alive from the inside, and we should not compromise it for recent developments like urbanization, technology, or social media. As mentioned above, the benefits of staying close to nature are diverse. We can enjoy the positive effects of connecting to the environment at all levels of individual well-being. Forest bathing, or Shinrin-yoku, as they call it in Japan, is a famous way of spending time in nature. Research has shown that people who practice forest bathing have optimum nervous system functions, well-balanced heart conditions, and reduced bowel disorders. Outdoor activities reduce the chances of developing eyesight problems like hypermetropia and myopia. A survey conducted on children in Australia revealed that school-aged kids who participated in outdoor activities had better vision than kids who spent more time indoors (Rose, Morgan, Kifley, 2008). Studies have related nature connections to lower BMI. People who exercise outdoors are less fatigued and have fewer chances of suffering from obesity and related conditions. The Forest Bathing research also suggested that by stimulating the production of anti-cancer proteins, frequent walks or trips into the wilderness help patients in fighting terminal diseases. Although this is ongoing research and firmer evidence are awaited, this suggestion is strong enough to prove the benefits of being outdoors. Nature helps in emotional regulation and improves memory functions. A study on the cognitive benefits of nature found that subjects who took a nature walk did better on a memory test than the subjects who walked down the urban streets (Berman, Jonides, Kaplan, 2008). Nature walks benefit people suffering from depression (Shern et al., 2014). Studies had shown that people suffering from mild to major depressive disorders showed significant mood upliftments when exposed to nature. Not only that, but they also felt more motivated and energized to recover and get back to normalcy (Berman, Kross, Kaplan, 2012). Recent investigations revealed that being outdoor reduces stress by lowering the stress hormone cortisol. Besides that, it also makes us immune to allied problems like hypertension and tachycardia (Lee J, 2011). Nature walks and other outdoor activities build attention and focus (Hartig, 1991). There are pieces of evidence that indicate strong environmental connections to be related to better performance, heightened concentration, and reduced chances of developing Attention Deficit Disorder. A study at the University of Kansas found that spending more time outdoors and less time with our electronic devices can increase our problem-solving skills and improve creative abilities. Environmental psychologists have argued that there is a value component added to the human-nature relationship. By staying close to nature, we feel more grateful and appreciative of what it has to offer to us (Harold Proshansky). Seeing the wonders of the world outside automatically fosters within us the urge to protect it. Breathing in nature gives us wholesome sensory awareness. When we spend time outdoors, we are more mindful of what we see, what we hear, what we smell, and what we feel. Environmental psychology is the study of human wellbeing in connectivity to the environment he lives in (Stokols and Altman, 1987). It is the offshoot of brain science that focuses on the relationship living beings (especially humans) have with nature and studies the dynamics of the person-environment coexistence (Russell and Snodgrass, 1987). The psychology of the environment is a relatively contemporary concept. It emerged as a branch of psychology after the research publication on person-place interactions in 1958 at the University of New York (Proshansky and group, 1958). Environmental psychology is rooted in the belief that nature has a significant role in human development and conduct. It believes that nature has a vital contribution to the way we think, feel, and behave with others. A fascinating story of the role of nature in shaping human behavior was mentioned in Marco Polo’s diary. It said that in 1272 when Polo was traveling through the different parts of Western Asia, he noted that the people of Kerman were polite, humble, and well-behaved, while the people in Persia, which was in the neighborhood, were cruel, unkind, and threatful. When exploring the reason for this stark behavioral difference, the people said that it was the ‘soil’ that was responsible for it. And as the story goes, when the King ordered soil from Isfahan in Persia and kept it in his banquet hall, his men started to shower each other with curse words and assaulted their folks. Environmental psychology is for the most part problem-oriented. It aims to bring to notice the ongoing hazards and the faltering human-nature connections that we need to address. By identifying the problem areas, it opens ways for solution-focused research and explorations. The psychology of nature and environment continuously facilitate climatic moderation. It also digs into the ways we can change the physical environment that we live in, to feel more connected and coexisting with nature. Environmental psychology promotes healthy natural ecosystem and suggests how malfunctions in habitat have and will continue to affect human behavior, demographic variants, and the society as a whole. The psychology of environment works around the following main ideas (Gifford, 2007). Human dependence on nature validates evolution. We are more adaptive to natural settings than human-made habitats. Contact with natural light is therapeutic and has immediate positive effects on stress, blood pressure, and immune system. Strong connections to the environment enhance the person-space idea and increase environmental perception. Humans are always capable of improving the environment they live in. Humans are active adapters to changes in society and the environment. They reshape their social identities and affiliations according to the physical space they live in. Nature has a deep-rooted meaning in psychology that encompasses the core components of our existence, including our genes. The popular nature-nurture concept in developmental psychology explores all the variables that shape and influence the relationship that our internal (personality traits and genetic factors) and external worlds (physical environment that we live in) share. The Biophilia Hypothesis delved into the human relationship with nature in 1984. The concept was initially used by German psychoanalyst Erich Fromm who described biophilia as the ‘love for everything that is alive.’ The idea of biophilia was later expanded by American biologist Edward O. Wilson, who proposed that the human inclination towards nature has a genetic basis. A large-scale experiment conducted on 120 subjects ascertained the ‘nature-connection’ in stress reduction and coping. Each participant observed visuals of either a natural landscape or an urban environment. The data obtained from this survey revealed that participants who looked at the picture of natural setting had low scores on stress scales and had better heartbeat and pulse counts. Furthermore, investigators also found that the stress recovery rate was much higher in participants who got a natural exposure than the ones who saw urbanized ambiances. The flow of this study strongly indicated the role nature plays in improving our general mental health conditions including stress (Roger, Ulrich, Simons, Losito, Fiorito, Miles, Zelson). The fact that staying close to nature improves focus and attention span, was suggested in the Attention Restoration Theory by Rachel and Stephen Kaplan in 1980. The theory explains why staying close to nature re-energizes us and reduces fatigue. Encounters with any aspect of the natural environment – sunset, beach, clouds, or forests grab our positive attention without us paying much effort to it, and the whole process restores the life energy that negative emotions had taken away from us. An immensely significant example of nature in human psychology is the research on climate crisis or climate change. Climate crisis and global warming are international concerns today, and some psychologists argue that the impact of climate change is so vast and unimaginable, that we often choose not to respond to it. Nevertheless, the effect of climate change on human psychology and mental health is well-established now. Studies show that climate change over the years has had a dramatic impact on the way we think, behave, decide, and execute plans (Lorenzoni, Pidgeon, and O’Connor, 2005). Environmental changes affect the way we communicate with each other, the way we perceive emotions, and the way we reciprocate to the same (Stern, Young, and Duckman, 1998). The Australian Psychological Society has added some mind-boggling figures recently. According to their research, almost 8% of the population across the US, UK, and Australia denies that climate change is happening, while 97% of the population accepts the fact and is concerned about it. However small the denial rate may seem, researchers suggest that it is enough to create a judgment gap that may cause people to doubt their contribution behind the climatic adversities. No matter which direction the judgment travels, it is undeniable that climate crisis has and will continue to impact human minds in some way or the other. An experiment conducted on the landowners on Pennsylvania disclosed that staying close to nature adds a sense of value toward the self, others, and toward Mother Nature. It builds connectivity and lets the way for gratitude and appreciation. Results showed that respondents who had higher connectivity with nature and spent more time outdoors were more environmentally responsible, concerned, and happier in their interpersonal relationships (Dutcher, Finley, Luloff, Johnson, 2007). The research paper on ‘Human-Nature Relationship And Its Impact On Health: A Critical Review’ explores all the aspects of the interconnection we have with nature and how it affects our general health and well-being. Staying close to nature improves physical conditions like hypertension, cardiac illness, and chronic pain. A strong connection to the natural environment enhances emotional well-being and alleviates feelings of social isolation. Besides, it also helps individuals suffering from mental health conditions like attention disorders, mood disorders, and different forms of anxiety. Nature-friendly people are more environmentally conscious and responsible. They have a rational sense of using their physical space and are more proactive to enact on issues that might help in sustaining the environment they live in. 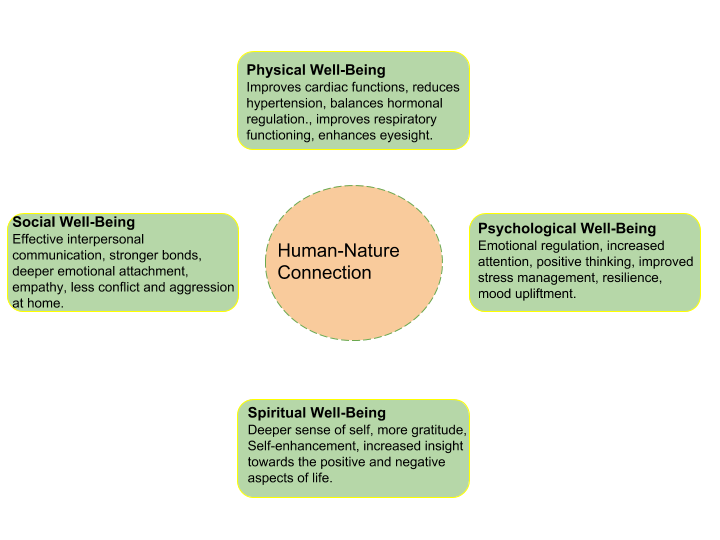 The multi-disciplinary HNC (Human-Nature Connection) study was a vast exploration of the kinetics involving the relatability we bear with our physical environment and also why many people are still unaware about the benefits of staying close to nature. The study included a heap of psychometric assessments and personal interviews and the results obtained by Fischer et al., provided a strong lineup of why the human-nature connection is vital for human life and sustainability. David Hayward published this research paper in 2016 and studied the effect of nature connection with enhanced mental health conditions in students. With strong evidence and research-backed examples, he suggested that teaching students from a broad perspective is way more effective than showing them only the subject matter (Knapp, 1989). He studied the implications of outdoor education and concluded that kids who received outdoor training were more satisfied and emotionally well-balanced. Not only that, outdoor educators, according to the researcher, were possessors of sound mental health and loved their jobs more than teachers in a controlled setting. The study attracted many educational sectors and have encouraged educators and facilitators to embrace outdoor activities as an integral part of educational courses. The love for outdoors must grow from the very beginning of life. The research ‘Benefits Of Connecting Children With Nature’ was an authentic initiative to support environmental conservation and increase nature awareness among youngsters today. The study explores the reasons for the disconnect that the young generation is unconsciously suffering from and suggests effective approaches that can help in improving the nature-human reciprocity. A team of psychologists in the US, UK, China, and Australia investigated how climatic changes affect human personality. The study aimed to examine and explore the aetiological causes of why character and behavioral patterns differ with climatic variations. The sample population for the research were individuals from China and the US, two different places in terms of climatic conditions, and the report explained personality variances concerning the Big Five Personality Factor Theory. Results indicated that people who lived in a moderate climate, with temperature up to 22-24 degrees, score higher on personality traits such as sociableness, openness, extraversion, and agreeableness. This study was a basic authentication of the fact that the physical environment we live in plays a crucial role in shaping our personality disposition, and why there should be more awareness about protecting the Nature from mayhem. Scientists Ryan Lumber, Miles Richardson, David Sheffield published this research paper in 2017 and focused on the affective components of associating with nature. The authors suggested that being close to nature evokes positive emotions. Outdoor activities such as hiking, gardening, or birdwatching, enhance the nature-human connection and acts as a catalyst to happiness. The study used the Nature Relatedness Scale and recorded responses on a basic Likert Scale. The results culminated from the study positively correlated outdoor experiences with positive emotions and expanded HNC (Human-Nature Connection). Charles Q. Choi (2017) published an enthralling paper on how global warming and climate crisis is expected to bring about changes in human behavior and personality traits. The researcher argues that if climate has a role to play in framing our dispositions, then it is only logical to believe that climate crisis and the changes that follow will also impact human mannerisms significantly. The research-based explanations and pieces of evidence of this paper, has raised questions that are yet to be answered by experts. This study was published by Zimmer et al., in 2013 and discussed how life in polar regions might impact the physical and mental well-being of the residents. The study, besides establishing facts about being in the Poles, also firmly ascertained that we could not escape human-nature connection when talking about mental health and well-being. The research suggested that geographically isolated regions of Antarctica are highly prone to get affected by climatic variations and global setbacks (Bradbury, 2002; Daher & Brito, 2007; John Paul, Mandal, Ramachandran & Panwar, 2010). The lack of sunlight and extreme weather conditions in these regions impact the cognitive functioning, anxiety levels, and causes a static low mood condition for its inhabitants (Paul et al., 2010). The prime focus of this research was to spread awareness about human disconnection from nature and explain why we must reconstruct this to promote happiness. Investigator of this study, Professor Helen Lockhart, indicated that the socio-ecological crisis the world is seeing today is due to this breach of connection between humans and nature. She highlights in her study that there is a spiritual enhancement that is linked to the human-nature relationship. Each encounter with the natural environment takes us deeper into exploring the truth behind our existence and what a happier world would look like. The subject matter of this study was that materialistic gains has blindfolded us and has made us spiritually bankrupt (Okri, 2008). Furthermore, the research also indicated that since humans are genetically conditioned to stay in close coexistence with nature, an absence of nature-human connection creates a sense of loneliness and unhappiness within us. It is this feeling of gloom, as the researcher suggests, that is the reason for societal disruptions and human immorality today, and while we may seek for answers outside, the real solution lies in the nature-human relationship. A 30-days campaign was run by the Wildlife Trusts of the University of Derby, with the prime focus on uncovering the crucial role nature plays in our overall eudaemonia. The study revealed that subjective feelings of happiness and wellbeing were positively correlated with natural activities such as gardening, animal feeding, bird watching, and bushwalking. Dr. Miles Richardson, the face of this research, cited valuable evidence on how proximity to the nature improved mood, enhanced respiratory functioning, regulated hormonal malfunctions, and impacted on the thought structure of individuals as a whole. Just by being outdoors and using all our senses to appreciate nature, we can be more mindful of the present, gain emotional resilience, and combat stress with more vitality. We become naturally immune to anxiety, emotional ups and downs, and thought blocks, thereby feel more lively and energetic than before. The survey further pointed that people who lived close to natural wilderness like the beach, mountains, or parklands, had better mental health and reported of falling sick lesser than those living in congested urban settings (Kuo and Coley, 2016). Such families had fewer instances of domestic violence, said of feeling less fatigued, and showed increased productivity at the professional front. A recent survey report launched by Healthy Parks Health People demonstrated some practical points as to how human and nature are entwined with each other. Although the study had other focal areas and did not concentrate on a massive global sample, the report that came out was used and shared widely by environmental psychologists and social scientists to explain the relationship we have with our physical habitat. Staying close to greeneries such as farms, parks and fields increase chances of related outdoor activities (walking, gardening, farming, playing, etc.). This improves mental health and physical fitness in adults and children who live there. Nature-friendly urban settings can be useful in promoting social connections and interpersonal communication. Contact with nature in any form enhances spiritual health and fills the mind with a deeper insight into life. 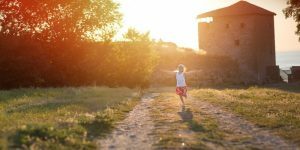 Children who are encouraged to spend more time outdoors are owners of good physical and mental health. They are less prone to problems like obesity, asthma, childhood anxiety, and depression, and are more focused on their lives than others. 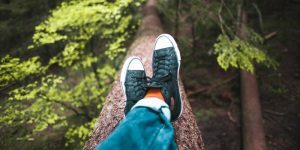 Adolescents who had a close connection to nature were emotionally well-balanced and had better coping skills than other children of their age. Aged people, who had access to green parks felt more positive and hopeful. It is difficult to gauge the benefits we can derive from being close to nature. Be that on the mind, body, or the soul, it leaves a lasting positive impression on every single aspect of our existence. A day out in the sunshine can suffice us with vitamin D, a nutrient we don’t get from food as much we need it. The right level of Vitamin D in the body immunes us against diseases like osteoporosis, cancer, diabetes, and Alzheimer’s. Besides, it also ensures the smooth functioning of the immune system. Studies have indicated that a large chunk of the population today is deficient of the ‘sunshine vitamin,’ which explains the massive increase in fatal diseases today, and rather than relying on human-made supplements, a close connection to nature can help in replenishing the deficit. Computer Vision Syndrome (CSV) is a condition that arises from staring at the screen for prolonged hours. Naturally, such exposures take a toll on our eyesight and develop problems like dry eyes, myopia, or chronic headaches. Spending time outdoors, especially in the greeneries is the best natural solution to this. Looking at the green grass, the trees, the flowers, and all the other aspects of the environment improve focus and eyesight. Interestingly, studies have shown that children who spend more than four hours a day in the outdoors are four times less likely to develop eyesight problems than children who spent less than one hour outdoors every day. The environment is a natural purifier. Spending some hours outdoors helps in releasing the toxins from our body and leave us all fresh and rejuvenated. The amount of bad air that we breathe in because of the pollution, industrial fumes, and indoor pollutants, is potent enough to dysregulate our respiratory tract, giving birth to breathing troubles, bronchitis, and asthma. And there is no other solution to this except for spending more time in the natural environment and getting some fresh air every day. Mostly, the time we spend outside involves physical activity in some form. It may be walking, jogging, cycling, diving, surfing, playing, or anything alike. Any exercise in the outdoors helps in burning fat and improves the metabolism rate in the body. Research in this area has revealed that people who exercise outdoors enjoy their workout sessions more and are more likely to practice it regularly, than people who exercise indoors. Besides, outdoor activities are related to longer life span and fewer health problems. Nature is undoubtedly the best healer. Spending time in nature awakens our senses and provides clarity. Many studies have proved that people who have a close connection to the landscapes are happier from the inside – they indulge themselves in positive thinking and have better coping mechanisms than others. A strong human-nature relationship means emotional balance, more focus, solution-oriented thinking, and an overall resilient approach to life. The Psychoevolutionary Theory is built on the proposition that our personality, actions, and thoughts are shaped genetically by natural selection. Roger Ulrich, the face of this theory said that humans have a deep-rooted affinity towards nature, which is due to the thousands of years that early humans had spent living amid the wild landscapes. According to Ulrich (2008), it is due to this fact that staying close to nature brings a feeling of positivity and happiness in us. Furthermore, the PET (Psychoevolutionary Theory) asserted that staying in a human-made environment invites disorders like stress, depression, obesity, and cardiac diseases, and is a challenge to our overall well-being (Ulrich and Simons, 1986). Spending long hours indoors is likely to bring negative thoughts and fatigue. Through extensive research and survey, scientists have proved that when we feel low and less energetic, an encounter with the natural elements can instantly make us feel better (Zuckerman, 1977). Staying close to nature is a genetically influenced preference of humans. Spending more time outdoors has a replenishing effect on emotions, memory, and cognition. Restraining oneself in enclosed artificial physical settings can evoke anger, despair, and depression – together affecting our wellbeing. Nature has an in-built restoration component that helps in stress reduction and emotional regulation. The Attention Restoration Theory (ART) was proposed by Rachel Kaplan and Stephen Kaplan (1980) and reflected upon the gospel that staying close to the natural environment builds focus. The proponents of the theory first mentioned about this in their book ‘The experience of nature: A psychological perspective’ where they discussed how effortlessly witnessing natural phenomena like watching the leaves move, or the clouds float, make us more observant and attentive. Voluntary attention – where we willingly focus on something and spend our mental energy fully into internalizing the experience. Involuntary attention – where we unknowingly pay attention to something and get invested into that. The ART suggests that any attention can be built and redeemed through exposure to natural settings. By establishing a strong connection to nature, we can stay away from everyday stressors, experience positivity and joy, regain intrinsic motivation, and become more aware of our sensory stimulations (Berman et al., Kaplan, 1995). 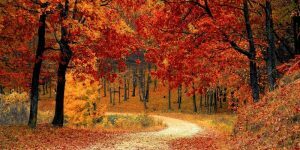 The theory indicates that nature has some ‘soft fascinations’ that help in restoring attention when we get distracted or mentally tied down. The soft fascinations are nothing but soothing natural elements (for example flowers, breeze, or gentle sunshine) that we all love to be close to. When we stay close to these pleasant aspects of nature, we do not have to put any effort into attending to it; we effortlessly immerse ourselves into the experience. They bring feelings of pleasure and contentment, which is why people who spend more time in nature are more intuitive, energetic, and consciously attentive (Fuller et al., Irvine et al., 2013). Several studies and large-scale surveys had been conducted to validate the theory and is still an intriguing area of research for environmentalists. Mycobacterium Vaccae: The Happy Bacterium? The term Mycobacterium Vaccae originated from the Mycobacteriaceae, a type of soil bacteria and the Latin word vacca, meaning ‘cow’ (as it was first found in a cow dung sample taken from Austria). The reason for the popularity of this microorganism is because of the incredible links it has with health improvement and psychological well-being. Studies indicate that the Mycobacterium Vaccae, more commonly known as the ‘happy bacteria’ or the ‘happiness bacteria’ is useful for treating asthma, cancer, depression, phobia, dermatitis, and even tuberculosis. A study conducted by Mary O’ Brien in 2004 explained how by injecting the bacteria in patients with chronic lung disease, she made them recover faster and with a better prognosis. Besides, the research also suggested that using this microbe improves mood, induces positive emotions, and produces more vitality (O’ Brien, 2004). Another research headed by Dr. Christopher Lowry, a neuroscientist at the University of Bristol explored the effect of the ‘Happiness Bacterium’ on stress and burnout by injecting the bacteria on mice and conducting a series of stress tests on them after that. The results showed that the group of mice that received the Mycobacterium injections acted as if they were on antidepressants. But no such reaction was noticed on the group that did not receive the treatment. The research report indicated that the Mycobacterium Vaccae activates the neurotransmitters in the brain that release serotonin or the ‘happy hormone,’ resulting in inducing happiness and positivity (Lowry, 2007). We know walking is good for the heart, muscles, and the overall metabolism rate. And now scientists have proved that walking in the natural environment improves our emotional health too. A study conducted and published by the Stanford University, California revealed that participants who walked in the green parklands showed increased attention and focus, more so than participants who walked in closed urban settings or on a treadmill. Not only that, but the former group also showed less engagement in negative thinking and felt more confident about themselves than the other group. A nature journal is a creative and unique way of imbibing the positive vibes of nature into our everyday lives. Many people who encourage this habit express feelings of inner peace and joy. In a nature journal, we can collect and note everything about our encounters with the outer world. For example, after a walk by the beach on a cloudy evening, we can sketch some clouds in the journal or draw the sea and write how we felt when we were walking through the breezy shore. Many people collect small things like a pebble, flowers, feathers, or leaves, and glue them in the nature journal with their thoughts poured into it. A great way to spend some quality ‘me-time,’ nature journaling inevitably brings a part of nature in our usual lives. Most working professionals today have the flexibility to access daily tasks outside (thanks to technology). We can choose to spend a part of our working day out to avoid the monotony of the cubicle and the same old office space. It may be one conference in the garden or lunch at the local park, anything that can logically amalgamates with nature. Spending some time outside alone or with co-workers gives an instant boost of freshness to the mind, thereby reducing the stress and frustration that comes from working tonelessly for hours at a stretch. Growing plants at home not just add aesthetic beauty to your space, it also contributes to purifying the air you breathe in. Having plants at home balances and soothes the home ambiance and aids in respiration and breathing. Studies have proved that indoor plants or a garden are beneficial for the mental health of the people who live there. They help in improving sensory awareness, cognitive functions, and enhances focus. Indoor plants reconnect us to nature, please our senses, and brings a serene feeling when we stay close to them. Diet is undoubtedly a great way of establishing a strong connection to Mother Nature. By consuming more plant-based proteins, vitamins, and minerals, we can help our body maintain its optimal state of functioning and homeostasis level. Recent healthcare research proved that the consumption of plant-based protein is correlated to lower mortality rates as opposed to animal-based proteins. It is not a bad idea, after all, to replace meat with vegetables and grains – if that brings good health and long life to us! Staying close to nature, observing all the little and significant elements of it, and appreciating it from the very core, is therapeutic and self-healing. Even by saying and doing nothing, we can learn so much from connecting to our natural surroundings. It gives us the perspective for healthier living, the motivation to carry on, and the energy to keep trying. For there is no bond more primitive and ingrained in us than our love for nature and nature’s care for us. Porter, J., Craven, B., Khan, R.M., Chang, S-J., Kang, I., Volpe, J., Settles, G. & Sobel, N. (2006). Nature Neuroscience, 10, 27-29. Godbey, Mowen. Franklin: County Healthier Communities Through Active Living Summit, 2003. The role of parks and recreation in promoting physical activity and health. Bratman, Levy, Gross: The benefits of nature experience, improved affect and cognition, 2015. 138:41-50. What is the last name of the Author I need to do MLA Format thanks! We have a big problem in Ireland with the planting of non native trees ie Sitka spruce. People are protesting against them..very little biodiversity is attracted into to them, we don’t like walking in them. People are upset as their houses are engulfed by these ominous plantations. We are trying to find studies on the unsettling and disturbing effects of nature on people as in this case. Would you know of any studies? This is everything I believe and teach. You’ve pulled it all together in one place. Love it. Very positive! Thanks so much for this article. It was very helpful and a great reminder.